"Valerie Langfield has a life in music." Valerie Langfield is a freelance musician, teaching piano, theory and aural, and accompanying and coaching singers and instrumentalists. Originally from London, Valerie Langfield has been based in the north-west of the UK for over 20 years. Her first degree was from Cambridge (where she studied piano with the South African teacher, Valerie Norman). She then took a post-graduate course in singing at the Guildhall School of Music and Drama; her work as an accompanist draws substantially on the experience she gained there. Valerie is a composer (chiefly of chamber music); she is also an instrumental teacher at the Department of Music, University of Manchester, and as a writer on music, is a contributor to the revised New Grove Dictionary of Music and Musicians, and to the Oxford Dictionary of National Biography. She wrote the definitive biography of the song-composer Roger Quilter as part of her PhD thesis, and she has written sleeve notes for several CDs of Quilter's music, including that by the internationally famous baritone Mark Stone. She travels all over the country, giving talks on music - and of course on Quilter in particular. She also edits 19th-century British operas from the original manuscripts and her editions have been used and recorded by Opera Ireland, the Royal Dublin Society, Opera South, Victorian Opera Northwest, and the European Youth Opera Centre, amongst others. She is a founder member of Retrospect Opera. 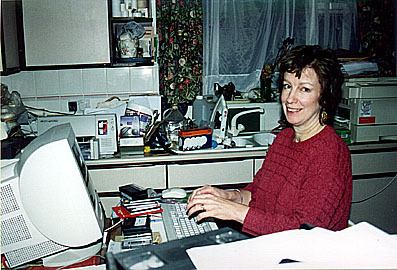 Valerie Langfield has substantial experience of editing British operas for performance and recording: for Opera Ireland, Balfe's Falstaff; for Opera South and the Royal Dublin Society, Balfe's Bohemian Girl; for the European Opera Centre, arias from Wallace's Amber Witch; for Victorian Opera North-west The Maid of Artois (Balfe, Robin Hood Macfarren), and a collection of Victorian opera overtures; and for Lucerne Opera, Smyth's The Boatswain's Mate. She has edited Dora Bright's Piano Concerto and Bright's Variations for Piano and Orchestra soon to be recorded; has contributed a chapter on the songs of Cyril Scott for a forthcoming Companion to Scott's life and music, and she is at present editing the diaries of the Cambridge musicologist Edward Dent, and a collection of letters from Dent to Jack Gordon, staff producer at Sadler's Wells in the 1930s.